Nail Art Society offers you the chance to use polishes and nail art items that you wouldn't normally use. With a little creativity and your subscription you can have fashionable and unique manicures. 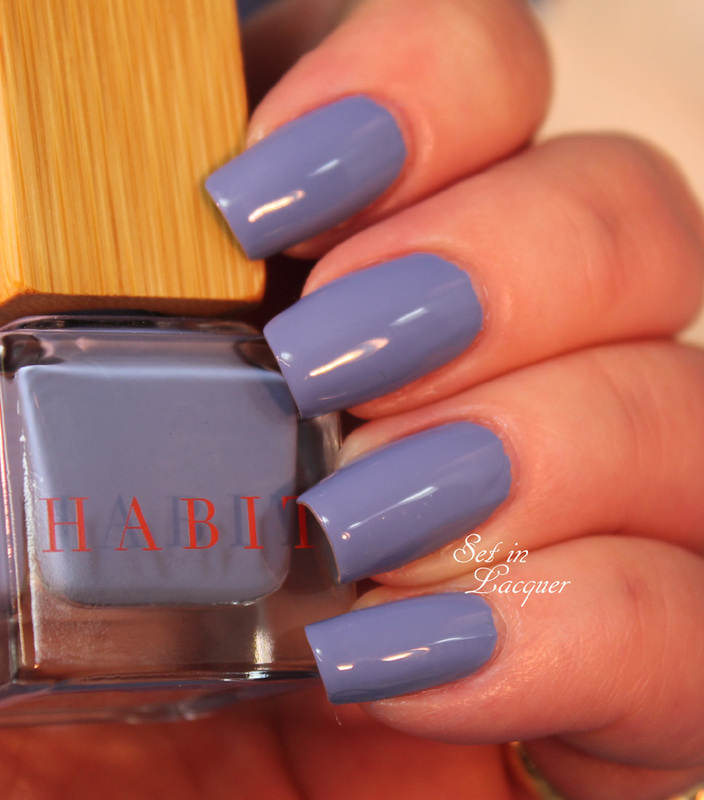 I have the March 2014 Denim Blues Kit, featuring Habit Cosmetics polish. 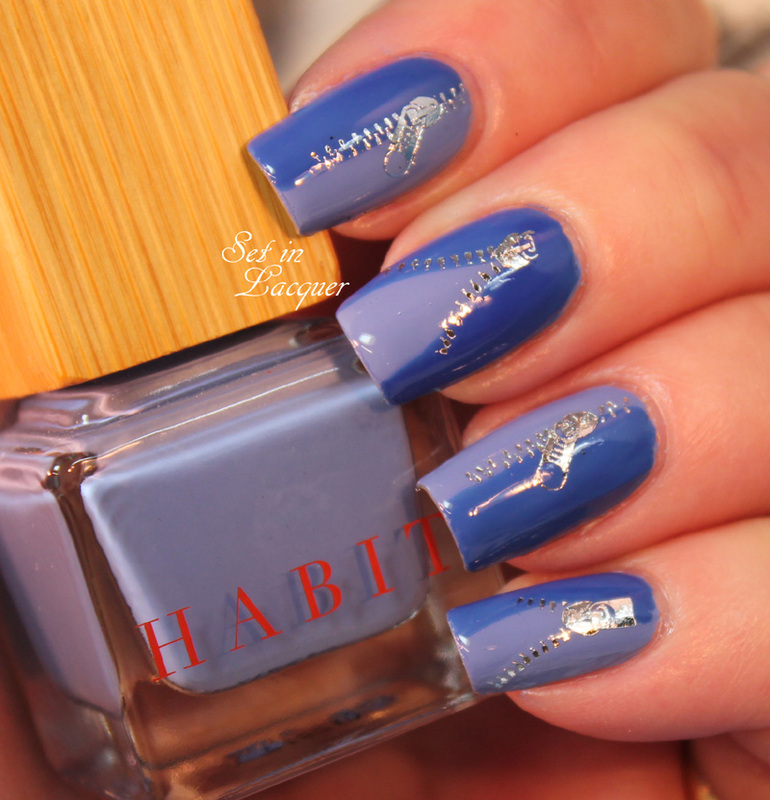 Members will be receiving one HabitPolish, and two packs of zipper nail water decals -one in silver and one in gold. I received the light blue "denim" polish called "Belle Epoque." Habit polishes are three free and cruelty free. They have an adorable bamboo cap, which makes their packaging unique and intriguing. Habit polish retails for $18. I applied the Habit polish and I must say, the formula was spot-on. It glides on the nail and dries to a high-gloss shine quickly. 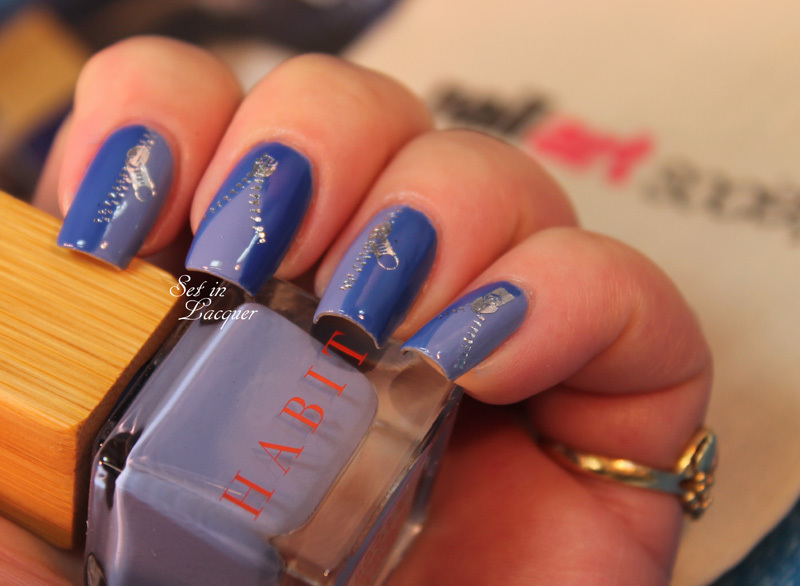 Then I used Barielle Blue Capri to "divide" up the nail in preparation for the water decals. Once my polish was dry I cut out the water decals I wanted to use; soaked them in water for about a minute, removed from the backing and applied to my nails. I love water decals. They apply easily, look fantastic, and when you want to remove them - they come off just as easy. There's no scrubbing like with stickers. I love this look. It appears complicated but is oh-so-easy! Nail Art Society kits are $11.95 + shipping and are monthly kits. 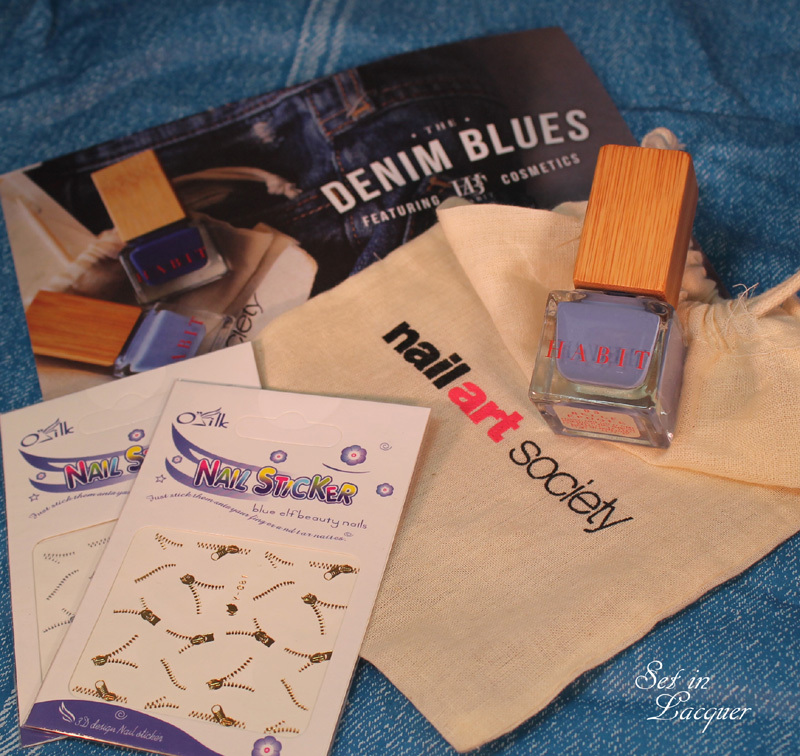 Items are also available in the Nail Art Society Al A Carte Shop! The team of NAS Renowned Artists is working hard to curate kits that are trendy, unique, and inspirational. 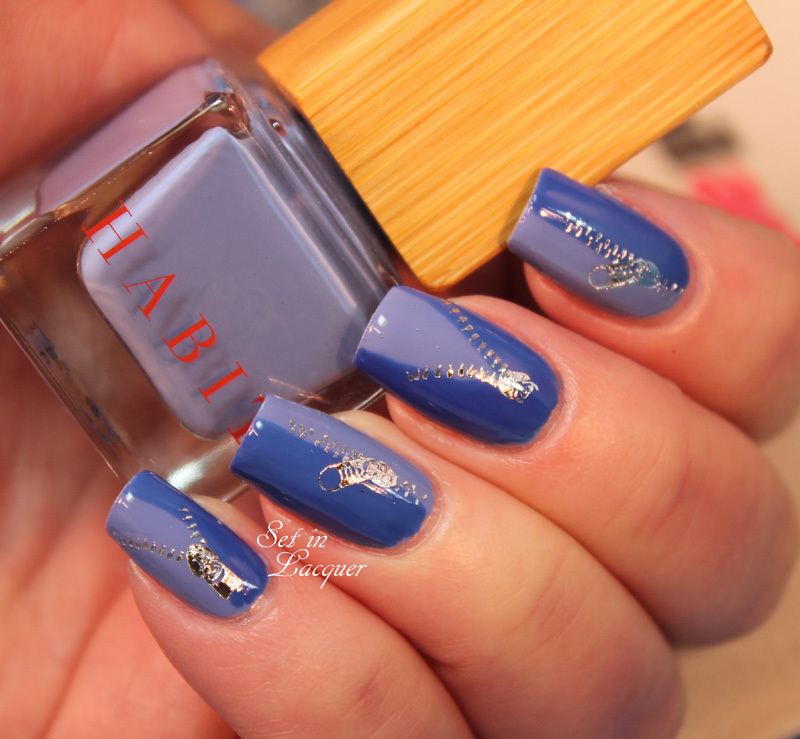 I have the Nail Art Society Box "Accent with Attitude" to share with you today. The possibilities with this subscription box are endless. Nail Art Society offers you the chance to use polishes and nail art items that you wouldn't normally use. With a little creativity and your subscription you can have fashionable and unique manicures. This kit was curated by The Lacquerologist. Sign up before Nov. 15, 2013 if you want your first kit to be this fun "Accent with Attitude" kit. 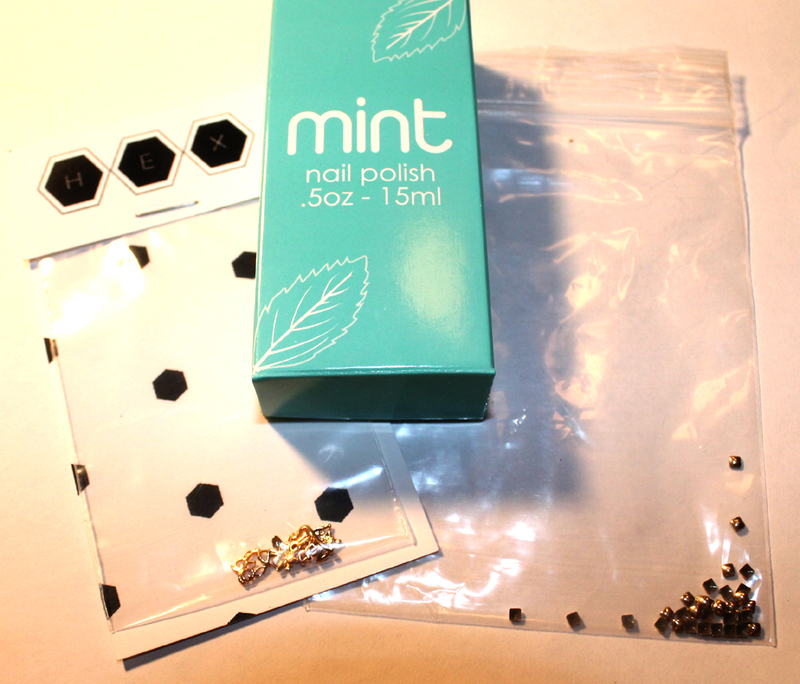 Members will be receiving one Mint Polish, three Hex nail charms, 2 mm gold square studs and bonus nail art tweezers. 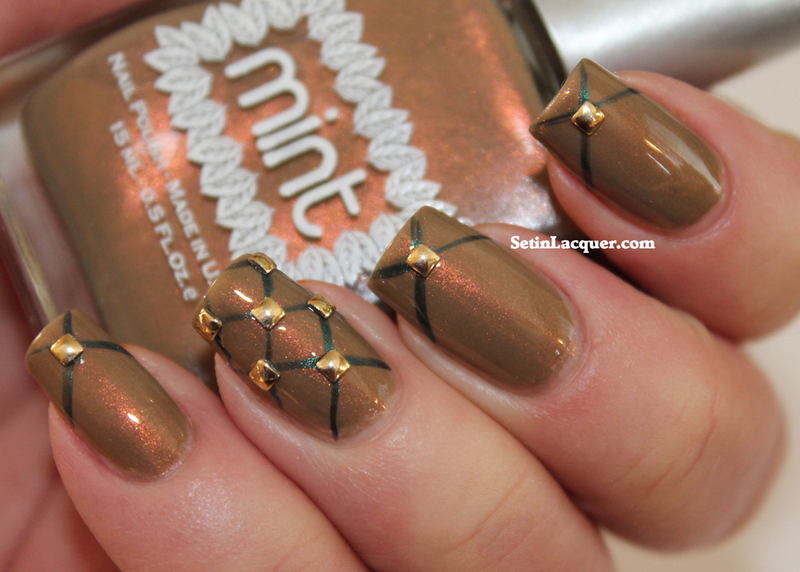 The Mint polishes are stunning, the Hex charms are adorable and the gold square studs are classy and trendy. The photo below is a sample pack and doesn't have the tweezers. I can't wait to show you the looks I created with these products! So let's get to it! For the first look I used two coats of Mint Polish Buttered Rum for a base color. I love the shimmer in this polish. It has some amazing rose colored flashes. Then using a striping brush I added diagonal lines with Mint Polish Czarina. Then I added the square studs where the diagonal lines met. I picked up the studs with a wet toothpick. Some people use special tweezers and some use a type of wax pencil. I like using a wet toothpick. 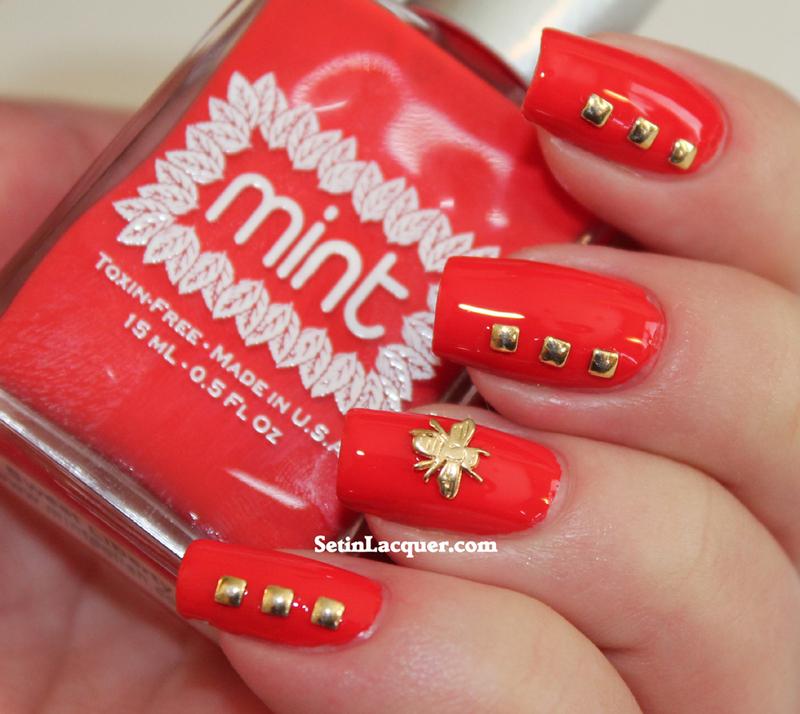 You can use glue or clear nail polish to set the studs. I used clear nail polish - but if you want them to last longer then simply use nail glue. For the next look I kept it simple. I used Mint Polish Czarina. 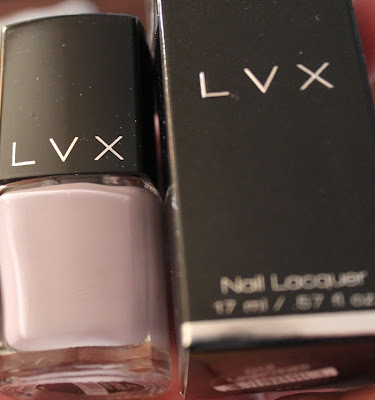 This color is shimmery and positively gorgeous! I used a simple stud at the base of each nail and the owl Hex Charm. This charm is simply adorable! Depending on what method you use to attach the Hex Charm you may be able to use it again. I used clear nail polish so when I removed it I didn't use too much polish remover. I didn't want to dull the charm. For the third look I also kept it simple. But I love the gold accents against this Mint Polish, Sweet Liberty. I used the bee Hex Charm for this one. This one is definitely Accent with Attitude! Check out the links below to see some of the other looks the Nail Art Society Renowned Artists are creating with this kit. 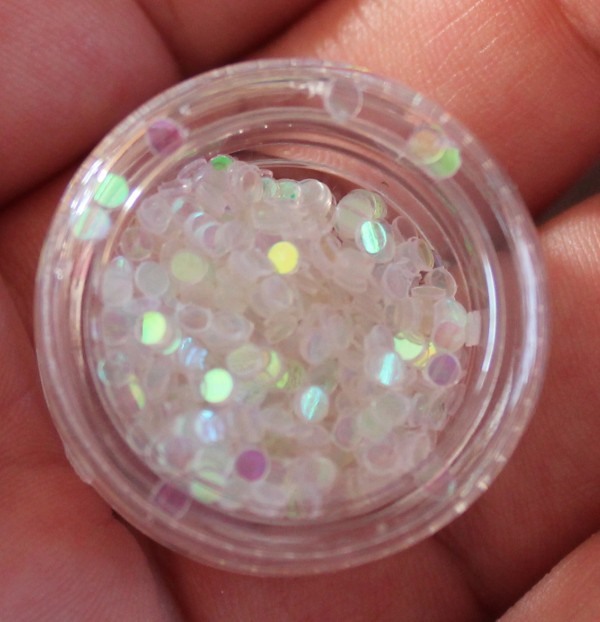 Nail Art Society kits are $11.95 + shipping and are monthly kits. Items are also available in the Nail Art Society Al A Carte Shop! The team of NAS Renowned Artists is working hard to curate kits that are trendy, unique, and inspirational. If you want to receive the Accent with Attitude kit make sure to sign up before Nov. 15, 2013. I have tried several of the monthly beauty box subscriptions with varying results. But there is a new one called Nail Art Society and it is the one I am most excited about. I love nail art and the Nail Art Society is a new way to try the latest trends in nail art at home for $9.95 a month. Every month you will receive a reusable cosmetic bag filled with professional tools, polish and nail art accessories along with a step by step how-to instructional card to complete a curated nail art look. All Nail Art Society Members have exclusive access to Q&As, video tutorials, trend reports, and tips from celebrity nail artists, bloggers and beauty insiders.To join the exclusive nail art society, simply choose the Nail Art Society membership that best suits you. They offer monthly, quarterly, and yearly memberships. Let's have a look inside the November package. All the goodies came inside this cute little cosmetic bag. 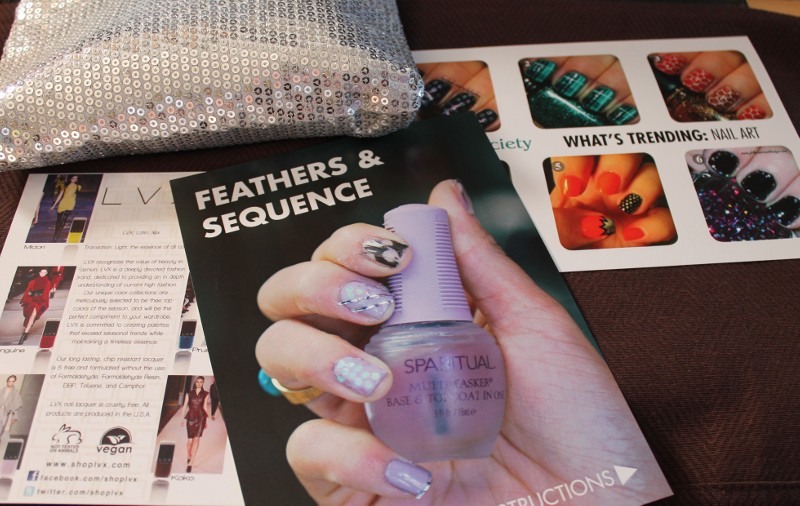 Nice promotional cards feature nail art instructional materials. The contents of the bag. Oh so exciting! Look at all those nail art goodies! 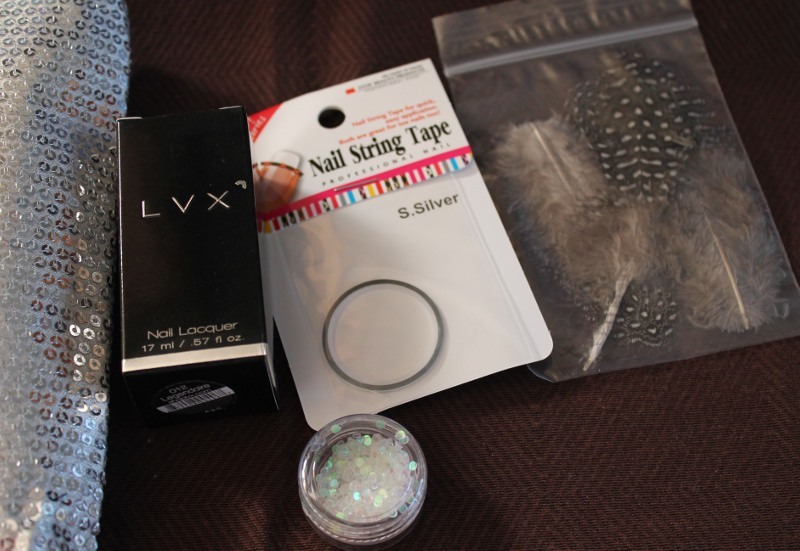 First up - fine feathers for nail art. I have been wanting to try a feather manicure. Now I can. 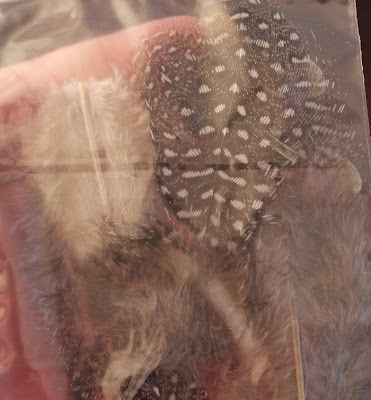 I can't wait to spread my wings and try a feathered look. LVX nail polish. It's a soft lavender color. I haven't tried this brand before. And what girl doesn't like a little sparkle. 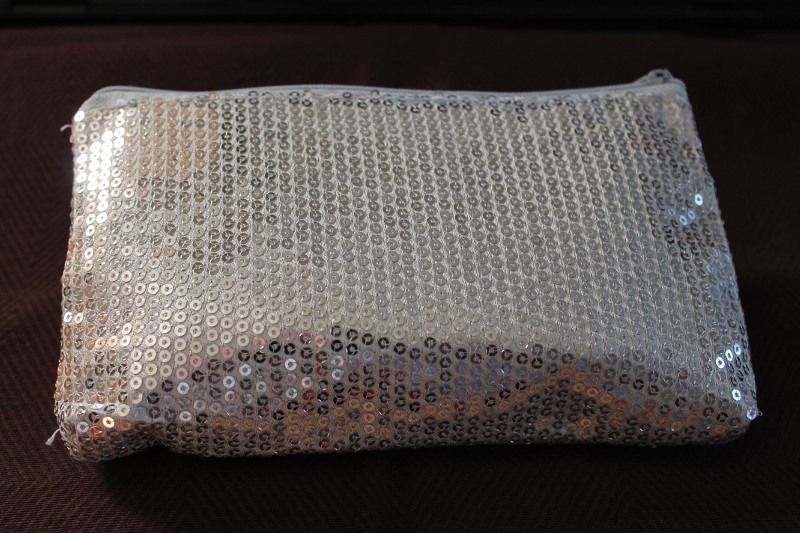 Look at these sequins. The instructional materials calls them sequence. I wonder if they are referring to a sequence of events? Either way I can't wait to try them. 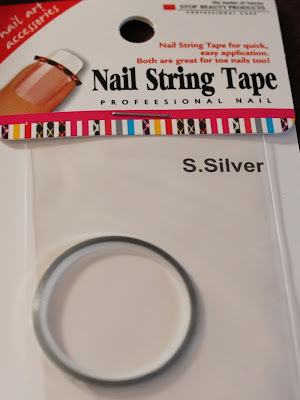 Nail art tape in silver. I love the look nail art tape gives to a manicure. Crisp clean lines add a wonderful element to nail art. This is a monthly subscription I am excited about. I will get to try so many different things with this. And all for less that $10 a month. There are no commitments. Check out this amazing subscription at www.nailartsociety.com. Make sure you follow them on Facebook too!